WELCOME TO THE Council of Private Colleges of America where we honor the Scriptures and promote scholarship. 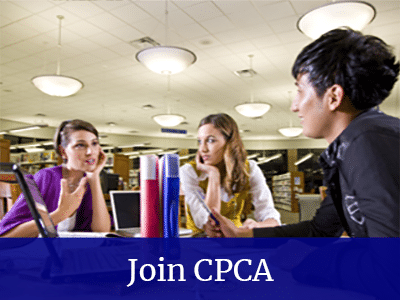 The CPCA exists to protect, and preserve the traditional freedoms of private faith-based higher education. We encourage institutions to consider the benefits of membership and certification. The motto of the CPCA is “Preventive and Proactive Protection of Today’s Private Faith Based Colleges for Tomorrow’s Students.” We achieve this by serving as a peer review alternative for private, degree granting, faith-based institutions that provide quality education. The CPCA is currently the only academic association with a certification process of educational standards comparable to recognized accrediting agencies, but with no emphasis on institutional preparation for the receipt of US Title IV Funding. CPCA certification simplifies the peer review process without weakening historically honored educational standards. Non-member institutions are cordially invited to review our membership and certification criteria, and to contact us for additional information.